Northern Province Chief Minister, C.V.Wigneswaran. 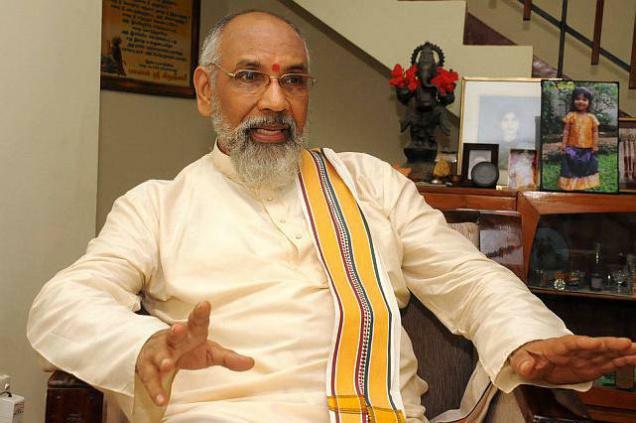 Colombo, July 20: C.V.Wigneswaran, Chief Minister of Sri Lanka’s Tamil majority Northern Province, and S.Thavarajah, Leader of Opposition in the Northern Provincial Council (NPC), have together asked the Sri Lankan government to set up a “full-fledged” Commission of Inquiry to conduct an in-depth probe into last Saturday’s clash between Tamil and Sinhalese students in Jaffna University saying that the fracas was a manifestation of deeper problems faced by the Tamils of North Sri Lanka. In a joint letter released on Wednesday, Wigneswaran and Thavarajah said that the incidents in question should not be viewed from a purely criminal law standpoint, The New Indian Express reported. After the war, the demographic pattern of North and East Sri Lanka is being consciously changed. The independent ‘War Crimes’ Inquiry is being dragged on indefinitely. Students from other Provinces are being admitted in large numbers in Jaffna University. Such entrants are bent on forcing their arts and cultural on Jaffna soil. There is reluctance and delay on the part of the powers in delivering a political solution that would allow the Tamils to look after their political affairs in their areas of historical habitation. There is a tendency to retain in the Province a military force far in excess of the need, seven years after the war.